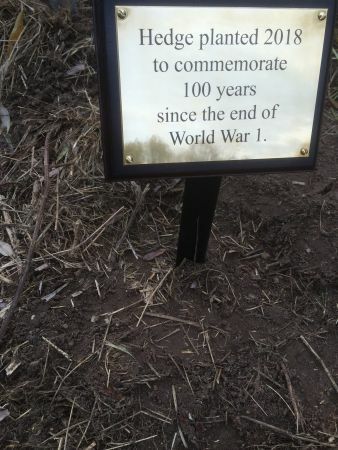 In 2014 we planted a mixed hedge in Earls Meadow to acknowledge the beginning of the First World War. This hedge has been carefully nurtured and is now well established as is evident in this photograph. We have also recently planted an all year round colour hedge along Bruff’s Line (disused railway line) to commemorate the end of the First World War. This hedge was planted on 4th November 2018. Both hedges now have commemorative plaques installed. 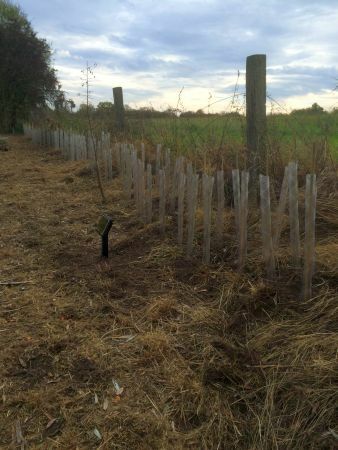 Hedging plants for the hedges were obtained from the Woodland Trust and form part of our ongoing Woodland Project. We intend to keep these hedges trimmed to around four feet and envisage they will help us to continue to add to the diversity and beauty of the area. 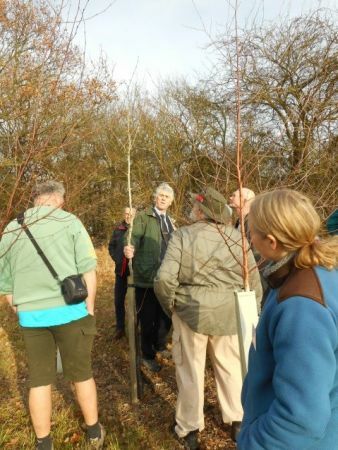 On Wednesday 7 December we welcomed about 30 tree wardens from across the county to a Winter Get-Together co-ordinated by Alice Martin, Assistant Arboricultural Officer with Babergh and Mid Suffolk District Councils. On arrival we enjoyed tea, coffee and biscuits before taking our seats. Our own tree warden, Robin Morley, welcomed the wardens to Cockfield and outlined the plan for the day. 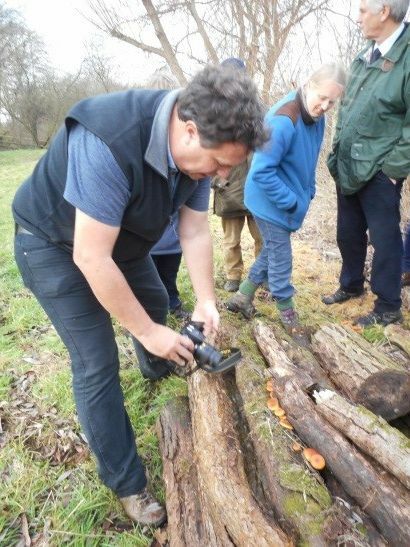 He gave a brief account of the Earls Meadow Project, said we would enjoy a short walk to the site to have a look round before returning for lunch and the afternoon discussion. He said we would have “a good time” at the meadow much to the amusement of the audience, obviously what he meant was that we would have a good amount of time to look round! Once we reached the new meadow we split into two groups, one led by Robin and the other by Rod Williams, the Project Leader for the site. They were able to explain what we had done and answer any questions which arose. Robin’s group was then joined by Jon Stokes from the Tree Council. Jon was captivating. He was seeing everything for the first time and had an infectious enthusiasm. He saw things that I had never noticed. He gave advice and made suggestions when asked and pointed out things that we could have done differently. Jon’s advice was sought about the pollarded willow at the foot of the new meadow. He made various suggestions and then said that we should measure the base since he was sure it would be amongst the largest pollarded willows in the country. Along Bruff’s Line, responding to a question from the group, Jon identified “Blackthorn Bracket” a fungus growing on blackthorn where a cut has been made and which he said is quite rare. 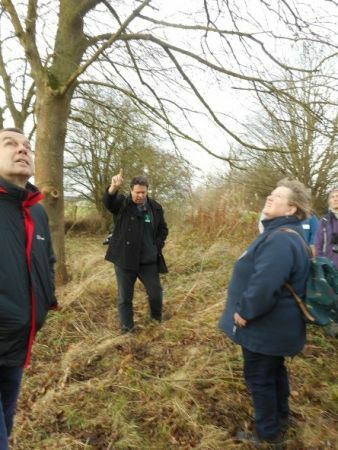 He was also asked about Ash Dieback specifically in connection with a group of six trees along the line and he was able to demonstrate the signs of Ash Dieback which it is now thought affects every single Ash tree in the country and which they are not likely to recover from. Sadly our trees are no exception and we will soon need to think about replacing them. 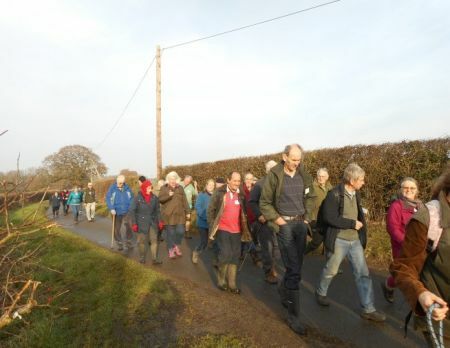 We then walked through Earls Meadow looking at the Remembrance Hedge and the Rowan Hedge and Jon talked of possible changes to agricultural funding as a result of the Brexit vote which may see a change to our landscape. 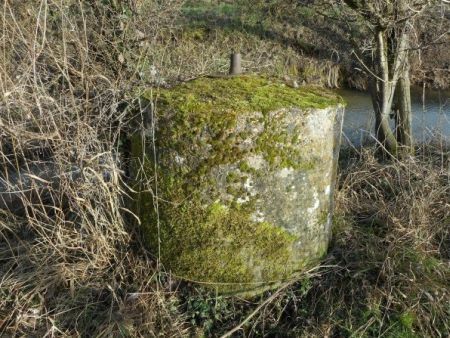 Another interesting fact to come out of the day (although not tree related) was that one of the tree wardens seemed to be particularly interested in the pillboxes in the meadows behind the railway line which made sense when he told me he was a military archeologist. We were looking around the nursery bed when he became very excited by the spigot mortar base which he said is not documented (I had not known what it was and had always thought I should find out!) He said it was positioned there so as to take out the railway bridge in the event of a German invasion in the Second World War since the likelihood was they would use the railways. He has promised to send through some information. We then made our way back to the village hall. After lunch, Jon opened the discussion on the future of tree wardening in Suffolk since it is evident come September there will be no co-ordination from Babergh and Mid Suffolk, the only assistance available being technical support at the end of the phone. 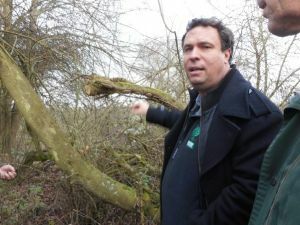 Henry Gowman, a tree warden from South Norfolk, told of his experiences where support from the local authority had been withdrawn with immediate effect and he had no choice but to set up his own group. We heard from Frances Jannaway of her experiences in Hampshire. We also heard from Chris Knock, an external funding officer with Babergh and Mid Suffolk District Councils who explained that funding could be available and set out the guidelines for this. The message was that although not ideal, we have a co-ordinator in place until September which gives us time to implement a plan for when the inevitable happens. Wardens were asked to leave their name and contact details if they were interested in helping to set up a group. The visitors very much enjoyed their day, as did we volunteers. I think for us volunteers it taught us to look more closely at the detail rather than the bigger picture, and for some of us it has rejuvenated an interest in fungi. A good time was had by all! As a result of our success, we have been asked to host the East Anglian Tree Warden Forum in September 2017. Summer has come to a close and Autumn is upon us. 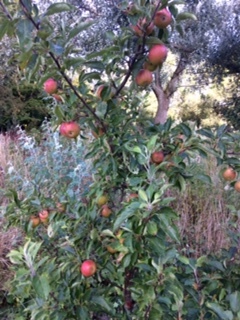 Very shortly Dave Tarling will be topping the meadows, the orchard is bearing fruit (winning two prizes at the show) . It has been a very fruitful growing year on all fronts , grass, trees, shrubs and flowers all doing well. It’s been a constant struggle to keep things under control but the volunteers have done just that. We are coming into the season of having to clear undergrowth and we have some projects to undertake in the winter and will be calling for volunteers in due course to help us to improve and maintain things for the benefit of nature and the village. On Friday morning November 15th the Head Teacher of Cockfield School brought her pupils, teachers and helpers to Bruff’s line to help with the planting of 2000 Bluebells. They were divided up into their little groups and marshaled beside their freshly dug patches of earth . I had plenty of helpers there from the Earl’s Meadow team and each group was assigned to a helper. Instructions were given; bulbs to be planted three inches deep and three inches apart and work to be carried out in an orderly fashion across each plot. For about ten seconds this system worked very well before descending into the usual controlled chaos. However bulbs are very forgiving and I have no doubt that it will be a wonderful sight come May. Apologies to the worms, earwigs and other creep crawlies who engaged some children’s interest rather more than bulbs. No mini beasts wee harmed during this outing but some must have breathed a sigh of relief when restored to their homes. One particular young lad will, I think, go far. He announced to me that he had found a centipede. I asked how he knew it was a Centipede and he informed me that it had a great many legs, I then told him that this creature has a hundred legs and asked how many legs it would have if it was only half as long. He answered ” A hundred” I questioned whether the correct answer should be fifty but he confidently replied ” No, a hundred, but the legs would be closer together!” In the face of such logic I could not stand! The weather was beautiful that morning, we all had a wonderful time and, in addition to the Bluebells, planted some trees and hedging plants. I thank everybody who came down and took part. And a big thank you to Dave Tarling for preparing the ground in advance with his digger. 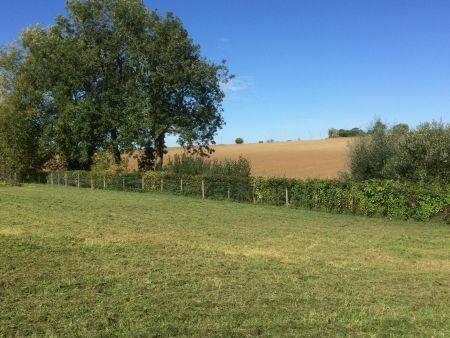 The Parish Council in conjunction with the Community Council, obtained funding for the purchase of Earls Meadow followed by the acquisition of an abutting area of old railway line, Bruff’s Line. This area, collectively known as the Earls Meadow Project is used on a daily basis by a cross section of the community. The Parish Council, using Section 106 monies, will shortly be completing the purchase of an additional adjacent meadow and a small stretch of old railway line. This will give a total area of 7.5 acres and secure this as a public area for generations to come. Since its conception in 2008 The Earls Meadow Project has embedded itself into the life of the village. This invaluable amenity is used on a daily basis by a cross section of the community as well as visitors from further afield. The project continues to evolve and November 2010 saw the acquisition of a further area of the old railway line which abuts and complements the Earls Meadow site. This addition was named Bruff’s Line after Peter Bruff, 1812-1900, a well known civil engineer who, in 1860, was responsible for the construction of the line from Sudbury to Bury St Edmunds . The track was opened around 1865 and served the community for 100 years, although the line no longer carries passengers it will continue to serve the people of Cockfield. A further meadow and small stretch of the old railway line are currently being purchased by the Parish Council using Section 106 funds. This will make a total of 7.5 acres protected for the people of Cockfield to use for generations to come. The Earls Meadow site (the name has been adopted to cover the whole of the project) is looked after and maintained by a group of volunteers led by Parish Councillor Rodney Williams. His words can explain what has been, and is, being done far better than mine so follow him down the steps and through the gate into Earls Meadow…. As you may have read in the November issue of Green Links the Parish Council has now acquired the length of railway line which runs beside Earl’s Meadow. This area has been left wild for many years. It is intended to do some sympathetic clearance thus exposing existing mature trees. The aim is to create a harmonious area for both members of the public and wildlife. We plan to plant some small orchards of old English fruit trees and hope that this will be completed by the end of February. To this end we shall be calling for volunteers for working parties. In the middle of January we started work on clearing the sites for the new orchards of traditional English fruit trees. Hopefully, by the time you read this, the trees will have been planted. We were very thankful to the many people who joined us for the working parties. Without their support projects such as this could never be realised. It is especially lovely to see parents and grandparents bringing children along to join in the work and the fun, for today’s youngsters will be the custodians of Bruff’s line in the future and we hope that both they and their children will enjoy the fruits of the trees. Winter is done, Spring is upon us. We have cleared parts of the river bank leaving a third for cover. We have planted some bulbs on the embankment and plan for more next year. We are looking at ways of promoting meadow flowers and increasing the diversity of the grassland. I have hopefully laid my hands on a large shed which will be converted into a bird hide. It will be situated on the edge of Bruff’s line looking into the meadow. A special thanks to all volunteers for their hard work. With the drought the new fruit trees have suffered a little but I wish to thank those people who have worked with me in scooping buckets of water out of the stream and carting them towards Lavenham. Thanks to their efforts almost all of the trees look likely to survive. It is interesting to note that in the areas which we cleared with careful strimming a lot of grass and Rosebay Willow Herb is thriving. On the meadow it was a pleasure to see that a great architectural structure has suddenly appeared. It is a well crafted wigwam, very solid and bound together at the top with green twine. I know not when or by whom it was crafted but it’s nice to see things being done that children used to do. It also appears that the nursery bed fairies have been busy planting redcurrants, pumpkins, sweet peas, beans, artichokes and all manner of things! Hopefully by the time you read this the bird hide will have been sited. The next stage is to seed the wild flower areas. On the meadow the grass has come through thick and strong with a great and glorious variety of flowering grasses . Without wishing to be boring, when you go down there take a look and see how many different varieties you can spot. A few evenings ago I spotted a group of four people having a picnic, a checked tablecloth spread out over the picnic bench, all manner of goodly things to eat and drink and it appeared that they were having a lovely time. Nice to see the meadow being used for such a purpose. I suggest that some of us should go and do likewise! I’ve had reports lately of a pair of birds being seen. I’ve not seen them myself but from the description they may be Golden Orioles, a scarce passage migrant which is starting to breed in East Anglia. Has anybody seen them? I’d be interested to hear. After speaking to Rodney Williams several weeks ago on the meadow, about the unusual pair of birds we had seen in and around the meadow and railway Walk I have taken many trips to the area with my field glasses and I can now confirm that by observing the birds and checking against species on the internet that he was completely correct in his assumptions that they are indeed Golden Orioles. How wonderful it is to know we have an area in the village where wild life can once again prosper, the occasional muntjac, a fox and even a few grey squirrels have shown some activity. On Sunday November 13th we had a bulb planting morning. It was a beautiful sunny day and we had 500 Bluebells, a half hundredweight of Daffs and quite a few helpers including children. Everybody who turned up worked very hard slipping and sliding as they planted clumps on the embankment. We marked each clump with sticks with tags on bearing the planter’s names so that, in the Spring, the children will be able to come back and see how their own little plot is growing. A certain breakfast lady turned up with bacon butties and coffee and a splendid time was had by all. I thank all those who came along, for, come the Spring, you will see your hard work has been worth it. I have no doubt it will be a beautiful show. We have recently put some nest boxes up and by the time you read this we will have moved the owl box to a better position. Working parties have cleared the river beds in order to ensure free water flow through the culverts and to keep the stream moving. I will be calling for more working parties soon. Has anybody seen our white Egret this winter? Good news and bad news. In the autumn/ early winter many volunteers and children planted daffodils and bluebells on the embankment and down the line. This spring the daffodils made a beautiful show. The Bluebells are coming through but slowly and we hope to see them bloom before too long. Other flowers have been planted, snowdrops and primroses. By the time you read this Dave will have harrowed the meadow to encourage the spring grass. You may see that we have put a fence round the culvert. This is for safety’s sake and at some point a sleeper step path will be built down the slope leading to the water’s edge. There are some tree stumps in the stream which we shall have removed to ensure the smooth flow of water. The bad news is that our fruit trees though heavily guarded were descended on by deer, hares and rabbits when the snows and heavy frosts came, Some had been seriously nibbled low down on the trunks, a few had been effectively ring barked. Ann, our resident tree expert, came and looked and gave her verdict. We have replaced some and replanted others to give them a chance. Most are looking well but I may have to shortly call for working parties to form a watering rota. Once again a superb piece of prehistoric architecture has appeared in the meadow. Do go and admire this fine structure, an example of craftsmanship at its finest! We wish to thank all volunteers who have turned out and given of their free time. We have come a long way but there is still much to do. But summer is coming, think on picnics! Scrub clearance is finished for this year but maintenance work continues. Benches and tables need cleaning, various areas need to be strimmed, harrowing was delayed by the wettest drought on record but should be done by the time you read this .The Bluebells seem to be dragging their heels but should be lovely next Spring. It was fitting that we had cleared the stream bed and culverts because, during the storms, there was an amazing volume of water going through which could have caused a great deal of bank erosion had the water’s path not been clear. For the Summer I shall be calling for working parties , if you’d like to come along and get involved please do! As you may well of heard we were the winners of the first round of the Village of The Year competition. The judges’s first port of call was your project. I walked and talked them round and they had no desire to rush. They displayed a great interest in all that we had done there and in our plans for the future. The thought very highly of the children planting bulbs and marking their names on the sticks. They loved the mystery wigwam and the final report made many favourable remarks about Earl’s Meadow and Bruff’s Line. And so I wish to say thanks to all of you who have worked so hard and contributed so much of your valuable time. Well done! Next judging round is coming up soon! All hands on deck! At the time of writing summer is sliding fast into autumn I’ve never known such a year for growth. We’ve spent most of our working parties merely keeping things under control, but now the vegetation has slowed down and all of nature is taking deep breath in readiness for the oncoming winter. All of nature slows at this time of year after having done its fair share of work in the spring and summer. But it’s a short pause for soon all wildlife will have to scamper in order to put weight on for the oncoming cold weather. Earl’s Meadow and Bruff’s Line. As you no doubt know we won Village of The Year but we also tied first for The Suffolk Wildlife Trust Natural Environment Award. Hats off to you all for a little bit of fame and fortune ( well perhaps not too much fortune). Sometimes it’s a long slog but when something like this unexpectedly happens it’s like a good pat on the back. We were very fortunate that the judges had beautiful days for their visits and one judge commented “Rodney this is absolutely lovely! It’ll be truly beautiful when it’s finished” Yes well…. dream on people! Keep it alive! Some weeks ago I spoke to Emma, the head teacher of our school and suggested that the children might like to visit Earl’s Meadow and plant some bulbs for Spring. She responded beautifully.. she wouldn’t just bring some children, she would bring the entire school. This happened on the afternoon of November 7th and a merry band of children, teachers and helpers trooped to the meadow in the afternoon. Some volunteers had joined me in the meadow that morning to prepare the bulb sites .and I give them special thanks because these good people willingly took a midweek day off work to ensure that all was ready for our young visitors. A newspaper photographer came to record the proceedings. The children were due at 1-30 and, as 1-30 approached and went I walked back along the railway track to meet them, then I head a twittering as of finches in bushes which soon became louder as the excited voices of children moved closer… and round the next curve they appeared walking in pairs, holding hands in groups of half a dozen each group flanked by teachers and helpers. It was a wonder to see the happy faces. Many children didn’t seem to completely know where they were headed to but they were enjoying simply being out in the autumn sunshine. It was a dazzling array of colours and I marveled at the variety of clothing styles, what a well turned out bunch. On reaching the meadow the young workers were divided into nine groups, each allotted their particular plot and a helper, dozens of little hand trowels were distributed and, in next to no time, a hundredweight of daffodil bulbs and five hundred crocuses were planted and wildflower seed was sown in other areas. What struck me was that the children were so very careful not to hurt the worms which were disturbed by the planting… Cockfield is building a new generation of conservationists. An excellent afternoon’s work which seemed to be over almost as soon as it had begun. The children formed up in their groups and marched off back to school. Thank you to everybody who took part in this event, it really was a lovely thing to see. Each plot was marked with the names of the children who took part and look forward to welcoming them back in the spring to see the results of their labours. Profuse apologies to Mrs C. I fear that half the meadow ended up being tramped across her school floors! Suffolk Wildlife Trust Environment Award. One off the awards presented on November 17th had a special significance for all who have worked so hard on the Bruff’s Line and Earl’s Meadow Project. These awards are not given away at Tupperware parties , they have to be earned and indeed this award has been earned by each and every volunteer who has given their free time so generously to work on the line and meadow. Weekend after weekend, they come, come rain , shine, fog, or frost, to strim, water, mow, prune, plant, trim, clear and burn. I cannot calculate how many hours have been freely given to this task but it must run into thousands. There are many other people to thank too. People who bring tractors and equipment to mow and top the meadow, who bring diggers to clear river beds, or the expertise to keep our newly planted fruit trees healthy… or even who bring coffee and bacon butties for the workers. And of course, just as importantly, all of the dog walkers, hikers, and merry wanderers who come to enjoy this special place and who respect it. If it were not for all of these people this project and this award would mean nothing. So I thank you all, and I was proud to accept the award on behalf of all of you. I will leave you with this crucial piece of philosophy, the very foundation on which this project stands. Nobody would disagree with me that today’s life can be very stressful at times. If we believe that , by what we do , people can come freely to Earl’s Meadow and Bruff’s Line and lose themselves awhile amid the beauty, relax and appreciate the changing faces of nature then we will know our work to be well done. It’s been a good year, much has been done and we plan to be amongst it again between Christmas and the New Year. I would like to thank each and every one who has helped . Your commitment and hard work has been astounding. And to volunteers and to those who simply stroll and enjoy the beauty of this unique undertaking I wish the merriest of Christmasses and the happiest of New Years. As I write this the February snow has disappeared , the sun has just started to attain a little warmth and things are beginning to leap and squeak a bit. I am certain that Spring is just around the corner. The newly planted bulbs are rearing their heads and soon the schoolchildren will be able to see them in bloom. We have planted a few new trees and wish to give special thanks for the kind donation of a heritage pear tree. Our little Egrets seem to be flourishing… this year we have three. Buzzards seem to be making a comeback too and have been spotted flying over the meadow. We will shortly be taking delivery of two new owl boxes kindly donated by the Suffolk Wildlife Trust. Thanks as always to the willing volunteers who have worked throughout the winter to keep things in trim. There have been reports of suspected Mink activity in the village… pond owners beware! As I write this Spring is supposed to have sprung!… well, sort of. We’ve had a good couple of months and cleared a fair stretch of embankment which we have replanted with Hazel, Spindle, Dogwood and Guelder Rose which will form under story growth beneath the mature trees which the council planted at the closure of the line in the late ’60s. I looked in our first Owl box, no sign of owls but a certain nest formation leads me to wonder if a Doormouse has been overwintering there. I shall investigate further once the danger of disturbing hibernation or breeding is passed. The schoolchildren’s Daffodils appear to be doing splendidly and will be out in a couple of weeks, we hope that when the time is right the children will return to see the fruits of their labour. We have an Easter Egg Hunt and a Duck Race on March 30th, and if we have enough water hopefully we can do some serious time trialling. There has been a lot of hard work done in some very harsh conditions of late and I thank all those who have shown their commitment. Without you it wouldn’t have happened and, once again, thank you! It’s been a long hard winter but, over the last fortnight it’s suddenly coming right. Thanks to D.T. for harrowing the meadows and to all the volunteers who continue to work so hard. The trouble with nature is that things never stop growing and thus need tending, it is an ongoing labour of love. As beautiful as it all looks things have to be cared for. I shall therefore be calling for working parties for strimming, weeding and general maintenance. By the time you read this the nursery bed will have been planted so keep your eyes open and see what our man at the top, M.C. has put in there. Let’s hope for a good summer and plenty of opportunities to picnic in the meadow.